Over the Summer, the Page & Page team became fascinated by two books on this very subject. Two books from one author, Dean Burnett, an eminent neuroscientist, lecturing at Cardiff University Centre for Medical Education. His witty explanations of what is actually happening in our heads are now contributing to the way we develop campaigns on behalf of clients like yourselves. Do you ever think about how your carefully crafted and precisely targeted communications impact the mind of your target audience? Of course, you do. Sometimes it is probably all you think about – that nervous anticipation of reporting on the results of your organisation’s investment in a campaign that you hope will increase sales. However, we mean literally, biologically – what actually happens? What, for goodness sake, is really going on in the heads of your customers? Over the Summer, the Page & Page team became fascinated by two books on this very subject. Two books from one author, Dean Burnett who is not only smart, funny and Welsh but also an eminent neuroscientist, lecturing at Cardiff University Centre for Medical Education and whose Brain Flapping blog can be read in the Guardian. His witty explanations of what is actually happening in our heads are now contributing to the way we develop campaigns on behalf of clients like yourselves. His first book, The Idiot Brain, explains how the brain works and his second book, The Happy Brain, attempts to explain how we get happy (no big surprise). Both useful to specialist communicators like ourselves when you’re trying to persuade a target audience to invest in a product, service or solution on behalf of a client like yourself. So, with Dean’s tomes in mind how much awareness and recall is that new content you’ve just posted generating? How is that new integrated campaign changing beliefs and behaviours? Well, that depends on how it works with people’s memories. If we read Dean right, then in effect we have no short-term memory. It is more of a fleeting recognition of something in our prefrontal cortex captured as neuronal activity. We can hold approximately four bits of information before our brains need to pass it on to our longer-term memories and when it is passed on it needs to fit with one of a variety of longer-term memories that categorise the information. The basal ganglia structures of our brains process things in terms of emotion, reward, habits, movement and learning. The cerebellum also helps us develop procedures. Everything makes its way via the hippocampus encoding memories to the cortex dividing these memories as conscious or unconscious memories. Conscious includes things that have happened to us and knowledge; unconscious more procedural responses. However, it appears if we are to develop campaigns that really do work with the way the brain functions then we need to consider the ego-bias of the brain. It’s pretty busy and it sees stuff through a filter that flatters the identity of the person whose brain it is. What we retrieve from our mind sustains the impression we’d like to have of ourselves. So, all that hard work you’ve just put into asserting those facts, figures, features and benefits might have been a waste of time. Better to have focused on the ego-driven identity of your target audience. Insight-driven campaign anyone? The happy brain attributes some of our enjoyment of life to chemicals. Dopamine (reward and pleasure), endorphins (a response to pain and stress) and oxytocin (the “cuddle” hormone) but Dean avoids neat hypothesis pointing out that personality and individual differences play a big role. Our big takeout from this second book is that in a stressful world happiness is essential if we are to cope. So, go on treat yourself to something right now. Calculating the difference between long-term pleasure versus short-term happy responses also speaks to the way we develop what a brand should stand for. Sensational short-term campaigns without adding value to the long-term would be a big mistake. So, when you’re thinking about how your carefully crafted and precisely targeted communication is really working in the mind of your target audience Dean has some useful pointers. Both books are terrific reads, fun and informative. 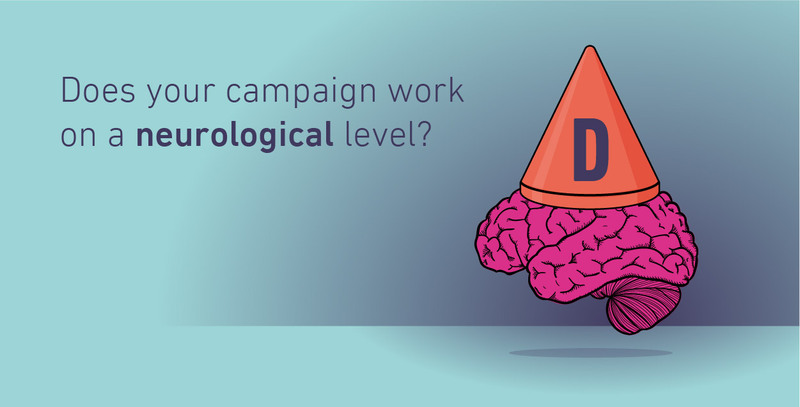 Wouldn’t it be great when reporting on the results from a campaign to not only point to some specifically predetermined measurables but to also be able to explain how in scientific neurological terms a campaign is working?